This article originally appeared on A Love So True. It has been republished here with permission. 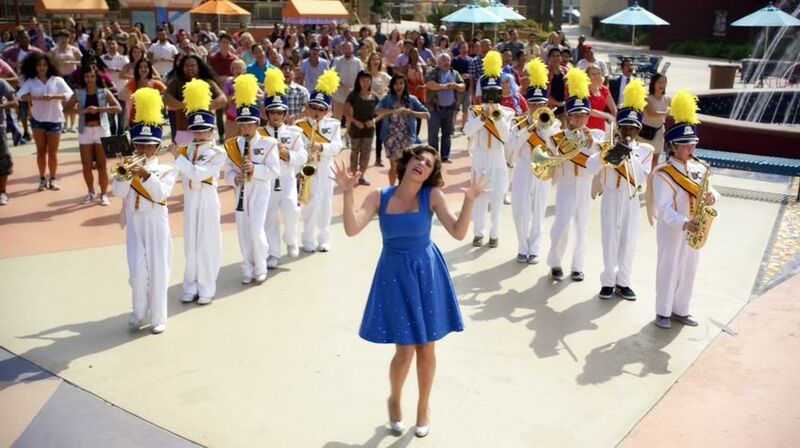 Extensive spoilers for Crazy Ex-Girlfriend follow. And also Friends, but that show ended over a decade ago! The history of the romantic comedy is littered with couples who got together at the end for no compelling reason other than the demands of the genre. If the audience demands happy endings, then the TV and movie studios better deliver, right? We can give up on a lot of things, but once two characters lock eyes across a room, that’s it. It doesn’t matter what sort of horrible things Ross and Rachel did to each other over the course of Friends’ 10-year run. It can all be undone as long as Rachel gets off the plane and they manage to declare their undying love for each other before the final credits roll. Enter Crazy Ex-Girlfriend. This critically-loved CW comedy is interested in the uglier side of the One True Pairing, or OTP. In the first episode, we meet Rebecca Bunch, who gives up a promotion at her high-powered New York law firm after a chance meeting with Josh Chan, a guy she dated briefly as a teenager. She’s utterly convinced that they’re soulmates, so much so that she moves across the country to his hometown of West Covina, California and inserts herself back into his life. Spoiler alert: She wins Josh back eventually, but she doesn’t keep him. He leaves her at the altar at the end of the second season, and in Season 3, she responds in a way that very nearly wrecks both of their lives. 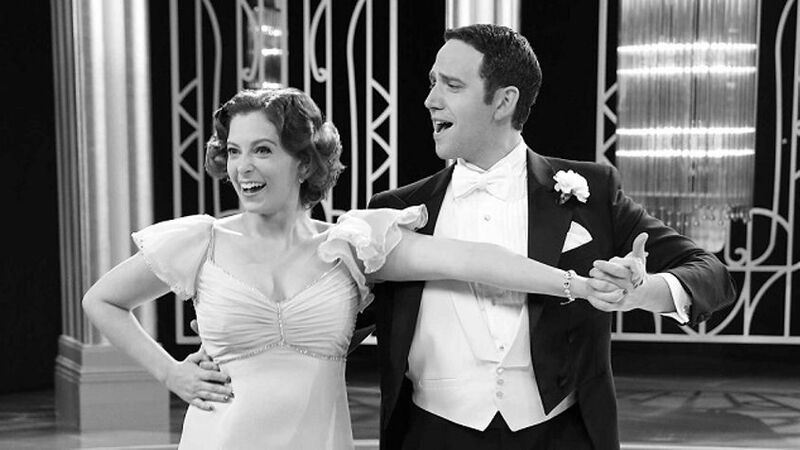 Among other things, Crazy Ex-Girlfriend explores what it means to be a ‘good person.’ Good people can do bad things, sure, but how many bad things are too many? In Season 1, Rebecca even sings a song called “I’m a Good Person.” The series also examines what love can and can’t do to “fix” you and make you into the person you’ve always wanted to be. I have never moved across the country for a guy I liked but barely knew. Most people haven’t. Yet the genius of Crazy Ex-Girlfriend lies in how relatable Rebecca is even when she’s making wildly inappropriate and often destructive decisions. I have gone chasing after a guy because that guy felt like the only part of my life that interested me. I didn’t want to do anything to fix my actual circumstances; that seemed too hard. I just wanted a guy to distract me. I wanted a man to see things in me that I had trouble seeing in myself. Since this is a musical comedy, Crazy Ex-Girlfriendbrilliantly uses singing and dancing to both mock and deconstruct the harmful crap Rebecca (and to some extent, all of us) believe about love. One of my favorites is the Season 1 number “A Boy Band Made Up of Four Joshes,” which takes the subtext behind boy band songs and turns it into text that’s both hilarious and sad. “Hilarious and sad” is really CEG’s sweet spot, come to think of it. As Rebecca, Rachel Bloom has a ton of great reactions in this number, but it really belongs to the four Joshes, all of whom are played flawlessly by Vincent Rodriguez III. They’re dressed up like Backstreet Boys gone to medical school, and they all sing and dance in perfect harmony, probably because Rodriguez is harmonizing with himself. The Joshes promise her “We’ll help you understand the reasons why your mom made you sad/ and why every man you date is just a stand-in for your dad.” There’s a lot to digest in this two-minute song. RELATED: Can Two Broken Hearts Learn to Love Again? If I had to name the precise moment when this show stole my heart forever, it would probably be when a tuxedo-clad Greg croons, “I have no problem being picked out from the bottom/If he’s your broken condom, I’m Plan B/So lower those expectations and settle for me.” What can I say? I love a good emergency contraception joke that also manages to break your heart. A lesser show would have Greg genuinely convinced he can make Rebecca forget Josh, but not this one. He knows he’s never going to be what she really wants, and he can almost, but not quite, convince himself that he’s OK with that. But the show doesn’t end there. The whole Rebecca-Josh journey is a long and exhausting one, and by early Season 3, it’s clear that they are not the show’s end-game, and rightfully so. If your fiancé abandons you at the altar on your wedding day, there’s no coming back from that, especially if you respond to that abandonment by stalking him and his family members. Soulmates don’t do those kinds of things to each other. And any faint hope that Greg might return from Atlanta and save Rebecca were dashed when she slept with Greg’s dad. The CW has given CEG a fourth and final season, and the show has a lot of work to do in the 13 episodes that remain, especially after a jarring Season 3 courtroom cliffhanger. If anyone is going to save Rebecca, it’s going to have to be Rebecca, who keeps sabotaging herself in part because she has trouble believing she’s worth saving.